You are here: Home / Bad Faith / Bad Faith Set-Up Fail! Chau caused an auto accident that killed the opposing driver Benjamin Buenaventura. Chau reported the accident to the Nevada affiliate of AAA. Less than a month later, the attorney for the claimant sent a time limit policy limit demand to AAA. To meet the demand, AAA would have to pay the entire $100,000 each person limit to Clara Buenaventura within two weeks and driver Chau would have to certify that there was no other insurance. Regular followers of the Nevada Law Blogs know that Nevada’s wrongful death statute allows the decedent’s estate and each of the decedent’s heirs at law to file their own individual claim. However, our readers also know that where there is only one decedent, only ONE of the “each person” insurance limits is available to pay all of the claims. In other words, AAA knew that if it paid the entire $100,000 to Clara and if there were other heirs, AAA would have exposed its insured to the potential for an excess recovery. In response, AAA did its best over the next two weeks to find out if there were any other heirs. Phone calls were made and an adjuster was dispatched to the attorney’s office with a checkbook to talk to that attorney. But to no avail. AAA could not learn what it needed to settle the case and the time limit expired. Over the next months, AAA tried to gather the information needed. Eventually, the Buenaventura’s attorneys said that because the time limit had expired, they were no longer interested in settling for the $100,000 “each person” limit. The demand was raised to $999,997.00, almost 10 times the each person limit of Chau’s policy. When that demand wasn’t met, they all filed a wrongful death suit. Besides the estate, the claimants were eight in all (1) Benjamin Buenaventura, Jr., (2) Mark Francis Buenaventura, (3) Fides Palapar, (4) Mary Christine Pangilinan, (5) Laura Buenaventura, (6) Maria Buenaventura, (7) Rosalind Bacus, (8) Clara Deleon Buenaventura. AAA defended Mr. Chau in the wrongful death suit. But it also hired another attorney to file a declaratory relief action against its own insured Chau. AAA Nevada Ins. Co. v. Chau, 808 F.Supp.2d 1282 (D. Nev. 2010). Eventually, the Buenaventura parties intervened in this declaratory relief action. When all was said and done, seven additional qualified claimants came forward besides Clara Buenaventura. Based upon these findings that court decided as a matter of law that AAA had acted reasonably when it let the two-week time limit demand expire. 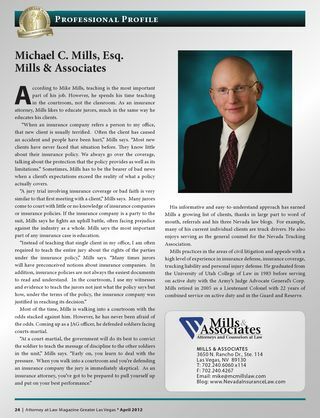 If you have suspect that your insurance company is being set up for bad faith, don’t hesitate to call Mike Mills at Mills & Associates. He will gladly speak to you about your concerns. 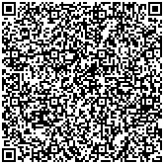 Mike can be reached at 702-240-6060×114 or you can email him at mike@mcmillslaw.com.